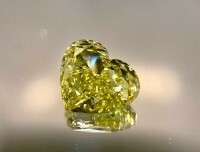 What is as bright as the sun, sparkles as bright as sunlight glittering off the sea, and looks perfect on any woman? 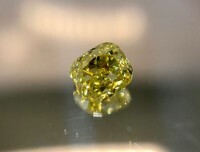 Why, yellow diamonds of course. 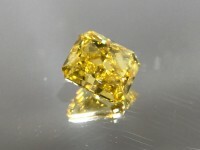 And not only are yellow diamonds the perfect jewel for any piece of jewellery, they will make their owner very happy. 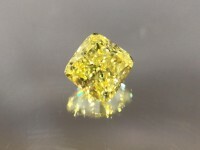 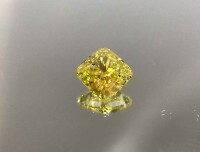 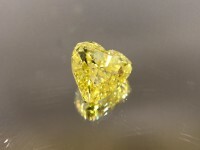 The colour of yellow diamonds is caused by the presence of nitrogen in the crystalline structure of the diamond, and so the more nitrogen the more intense the colour. 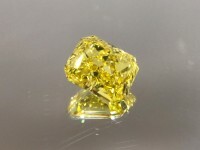 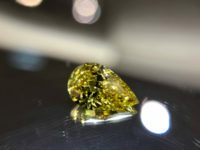 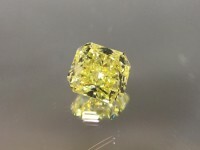 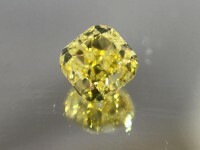 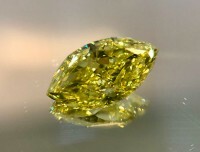 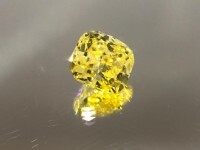 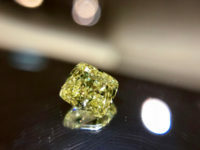 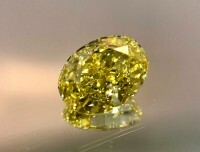 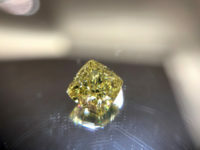 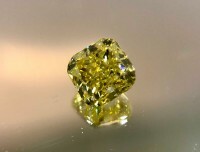 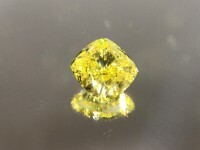 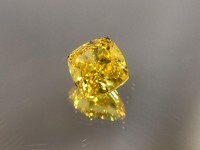 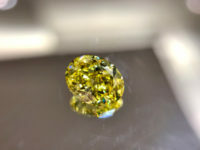 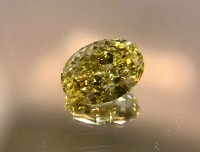 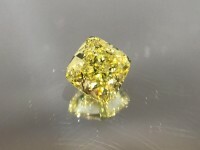 Yellow diamonds are classified as ‘Fancy’ or ‘Fancy Intense’ due to their coloured nature, and the hues can range from a pale, almost watered down yellow to an intense canary yellow shade. 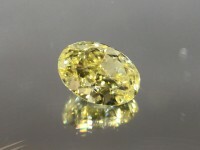 Fancy yellow diamonds work excellently when paired with a range of other stones, such as white diamonds, green emeralds, blue sapphires and red rubies, to name a few. 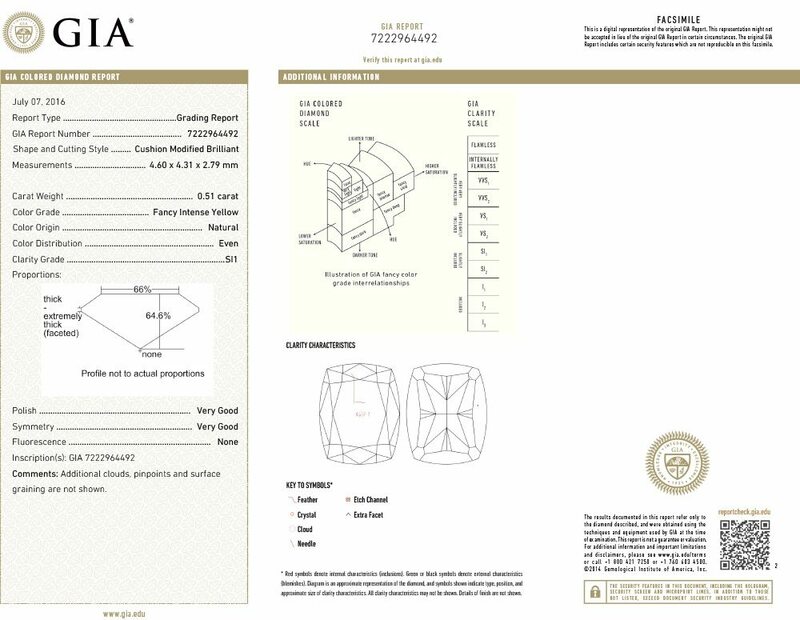 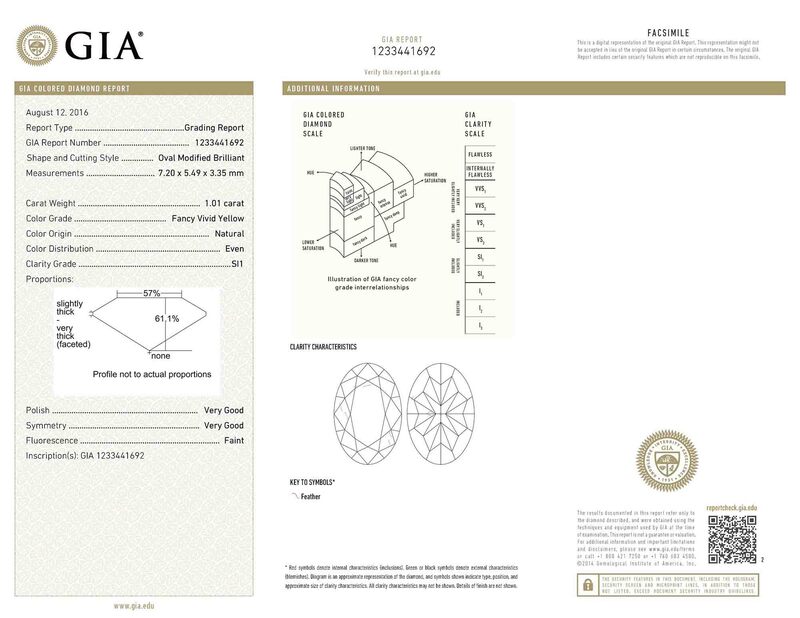 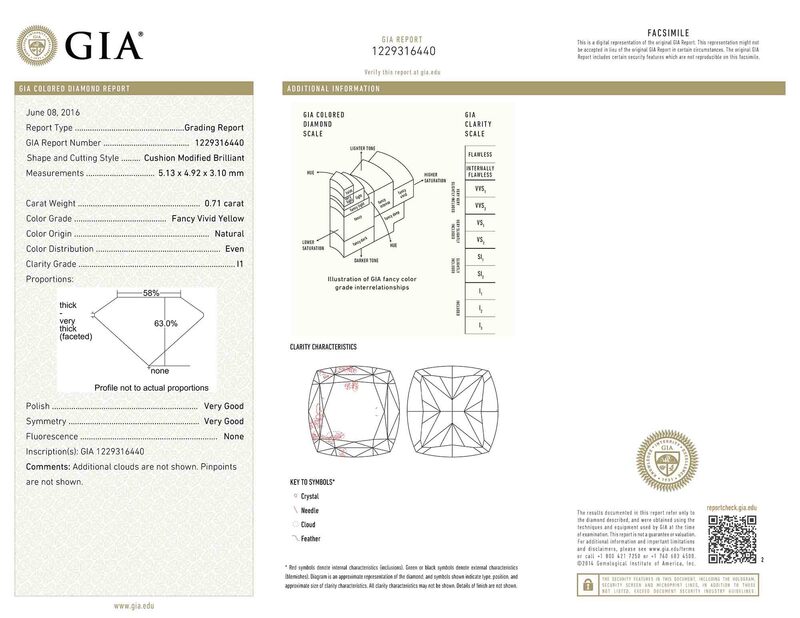 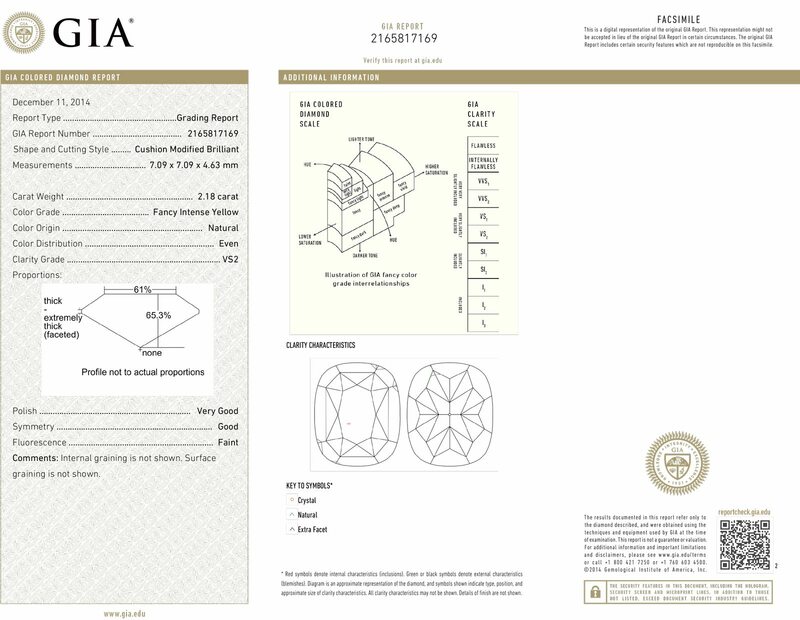 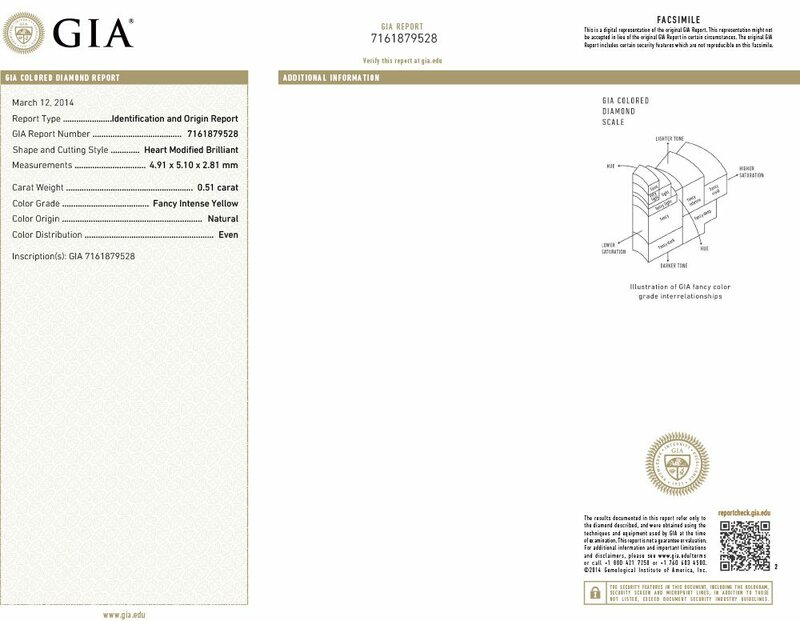 Here at Australian Diamond Brokers we’re committed to only providing our customers with the highest quality diamonds. 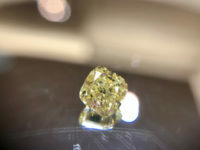 That’s why we’re one of Australia’s leading providers of diamonds, and why our business has been thriving for over 35 years. 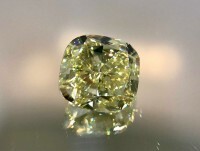 With our Sydney, NSW showroom providing a central base from which we operate, we use our extensive knowledge of diamonds and the diamond industry to supply beautiful, brilliant fancy yellow diamonds that are perfect both for you and for your budget. 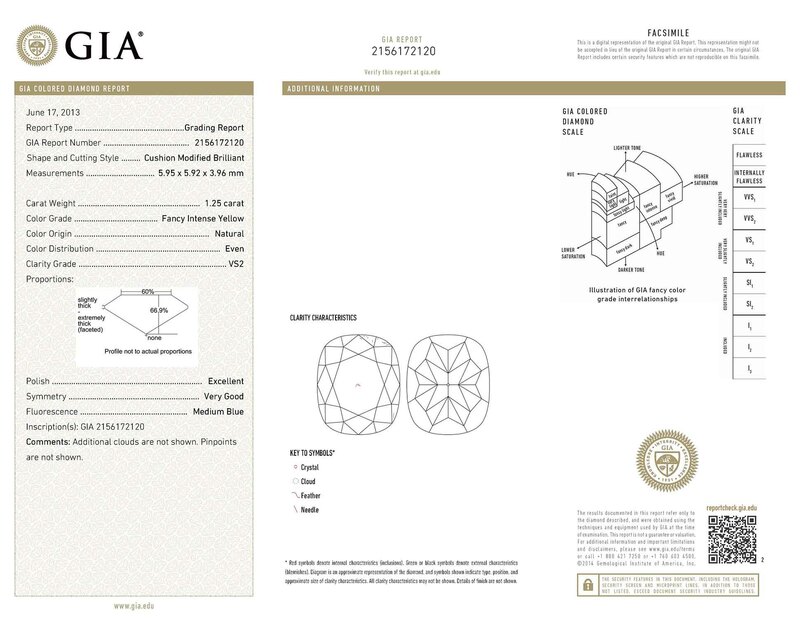 We also have an award winning in-house design team on hand to create any piece of jewellery you desire – we can even help you with the design. 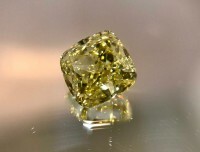 If you’re interested in purchasing a fancy yellow diamond, or would like to have a piece of jewellery designed with one of these precious stones, then Australian Diamond Brokers can help. 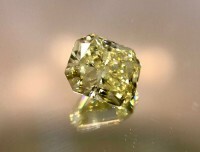 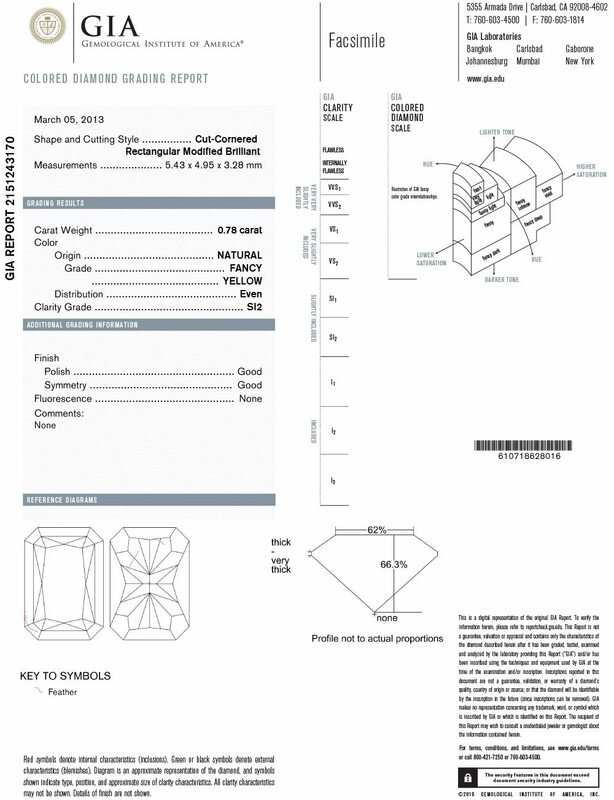 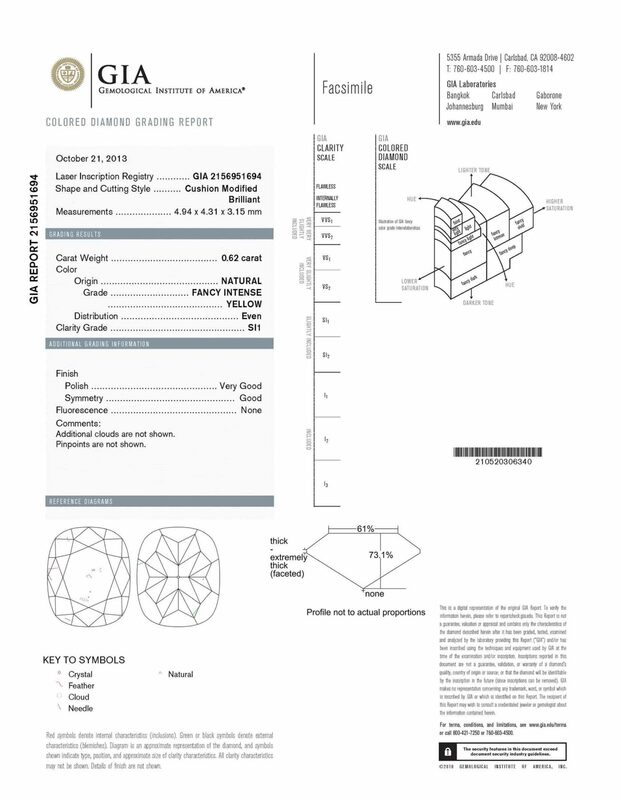 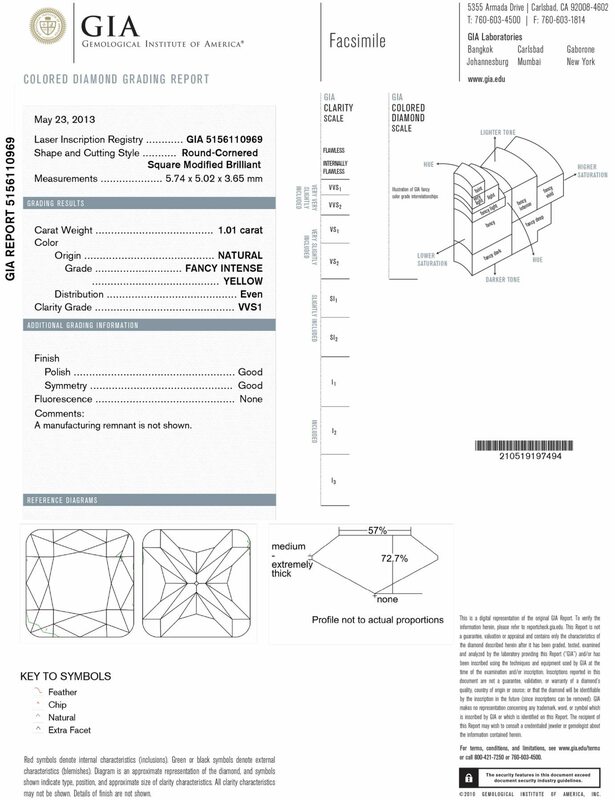 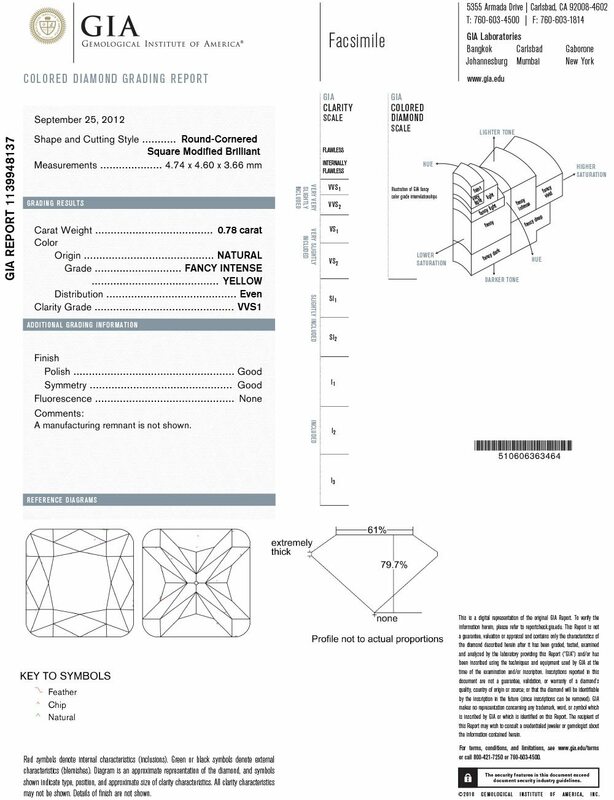 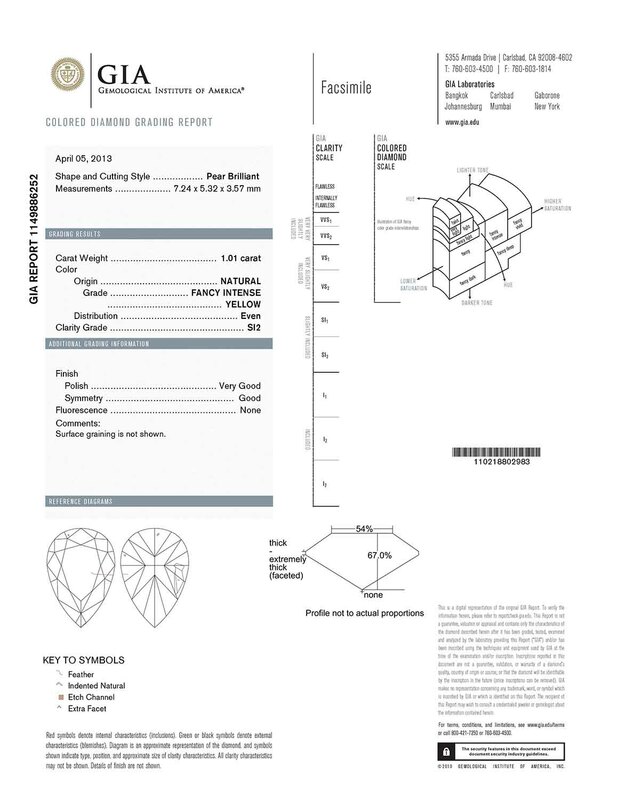 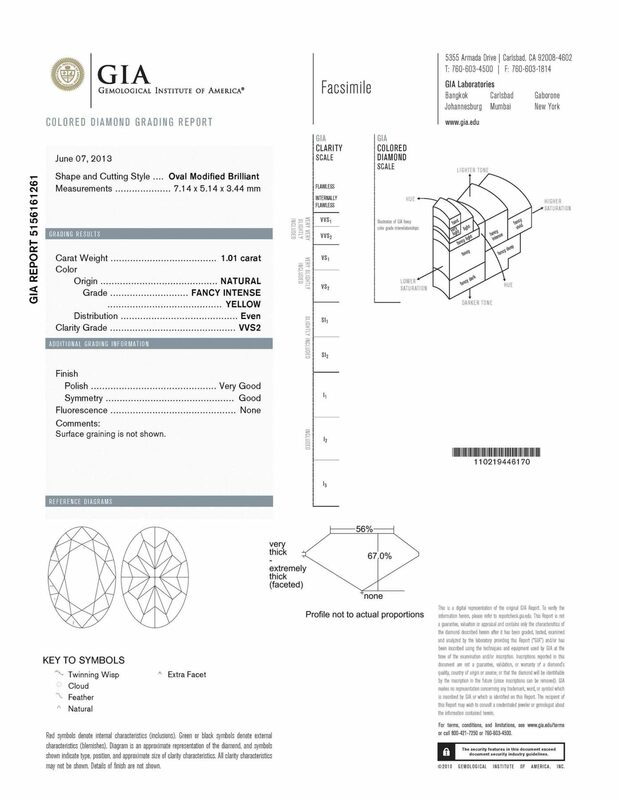 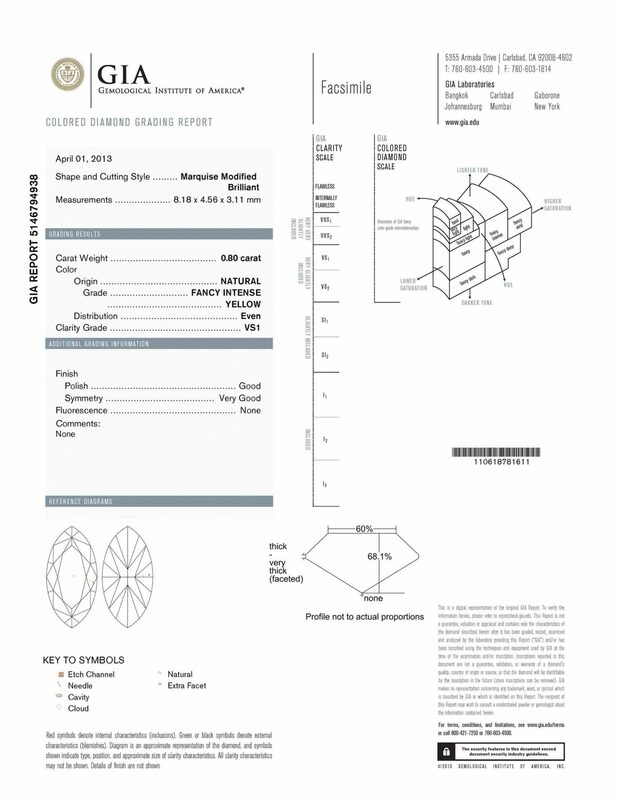 Our team of experienced and certified diamond graders are standing by to help you find the perfect yellow diamond for your needs. 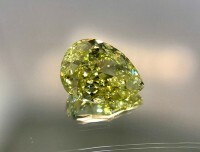 You can get in touch with us today on 02 9232 2328 to make an appointment with our team from 9am-5pm Monday-Friday, or you can make an appointment to see us between 5pm-7pm Thursday evenings and 10.30am-3pm Saturdays.